But focus on what? I am so distracted. Since the election, I am still finding it hard to actively engaging my thought on anything at length. It feels like I am in a weird bubble or having a cloud over my head, numbing my senses. Bobby, give me a shot of anesthetic on my head, I joked to my dentist. I thought that I left BBC at home but he had a ceiling mounted TV and it was showing BBC 24! All the chatter and clatter from the Westminster, ugh! They are just gibberish, aren’t they? How I wish if I could go into hibernation and wake up when everything was sorted for good. Because I have no predilection for watching yet more political cat fights by the usual suspects in the Commons. Have had enough of them already, haven’t we? Anyway, I was given an all-clear from the dentist and hit the pavement around 10 o’clock, feeling very hungry because I skipped breakfast. 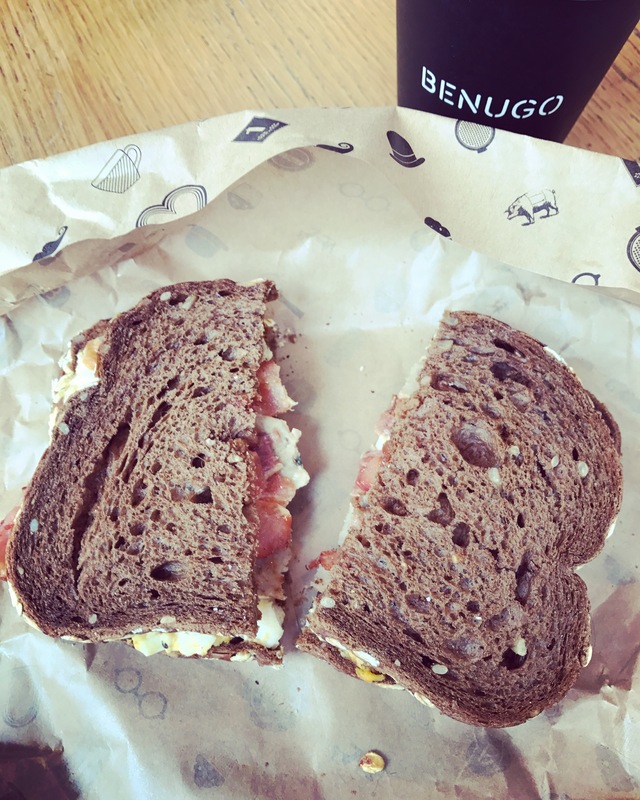 At Benugo on Great Portland Street, I had a toasted sannie named Londoner. Between the two slices of granary bread I found egg, sausage and bacon. Very very moreish. After finishing my breakfast, I felt a little happier. This is it, I thought. It is because the time like this, I mustn’t let negativity which are prevalent recently to mar my life. Instead, I should focus on what are in front of me and appreciate them as they are.